I hope you enjoyed the Fieldingpalooza blog tour and the new releases. October was quite a month! I want to highlight the last of my new releases, which is available today. 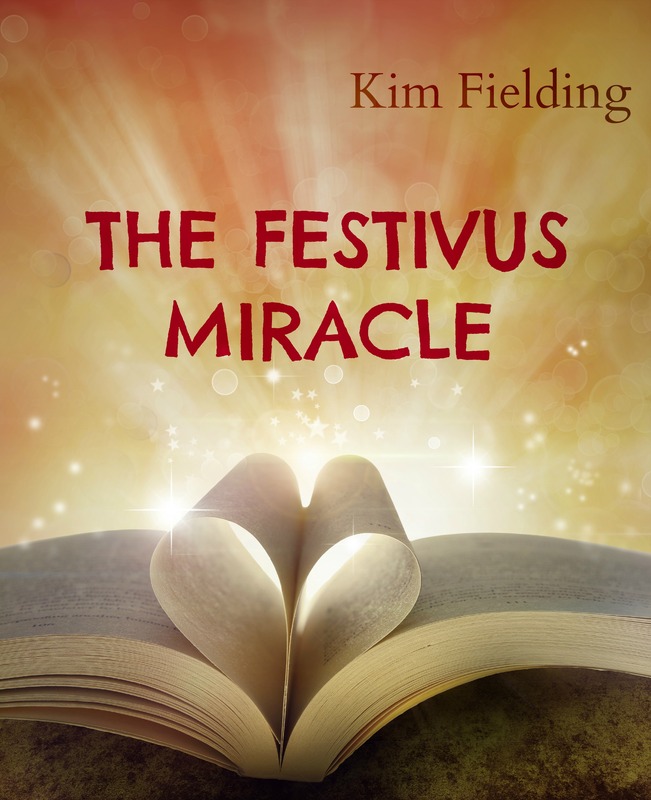 The Festivus Miracle is a sweet, romantic holiday story. And here’s the cool thing: I’m donating 100% of my royalties to Doctors Without Borders. (I actually donate all my self-published royalties to DWB, in fact.) I’d love to give them a big chunk of money, so please consider buying a copy and spreading the word. And now there’s a quiz. I’m a university professor. I love giving quizzes. But unlike my students, you will have the answers available to you. You can find the answers by reading my guest blogs from the Fieldingpalooza tour. The complete list is here. Once you have your answers, send them to me using the contact form at the bottom of this post. The quiz ends at noon Pacific time November 10. 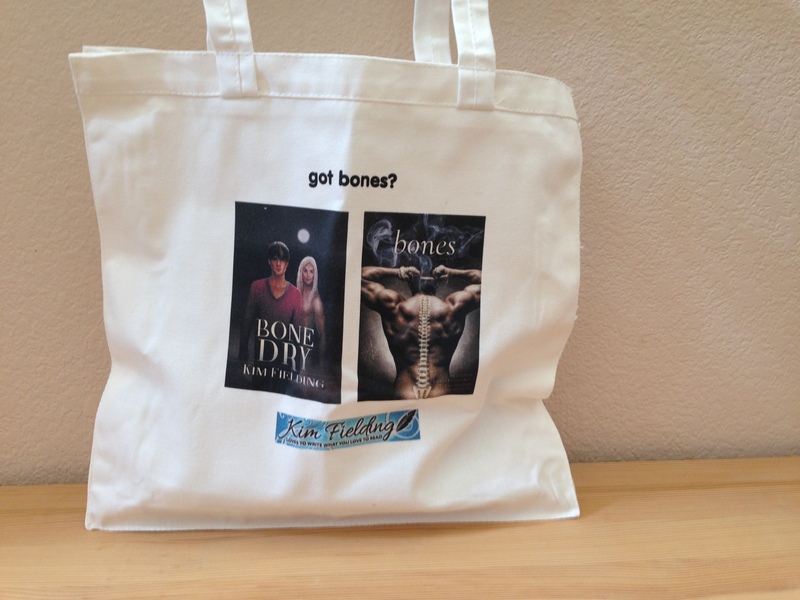 The contestant with the most correct answers wins one of those bones swag bags, which includes a matching t-shirt and lots of goodies. I’ll also include the entire Ennek trilogy in print, plus a $10 gift certificate for Dreamspinner Press and a $10 gift certificate for Wayward Ink Publishing, and I’ll ship anywhere. If there’s a tie for high score, I’ll randomly choose one winner. Who makes a cameo appearance in Bone Dry? Where was Kim’s mother born? What song did Starbucks stick in Kim’s head? What author did Kim’s daughter just fall in love with? What’s the name of Ery Phillips’s car? Back in the day, how did Kim spend her Thursday nights? Which actresses does Kim’s muse resemble? A stranding at which airport inspired Kim’s story “Standby”? What language will Brute be translated into next year? 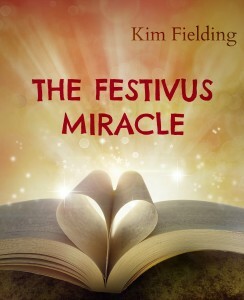 The Festivus Miracle is set in which city where Kim once lived? How long has Kim been married? What did Kim’s older daughter dress as for Halloween? Kim is a licensed member of what? Which of Kim’s new releases has a character whose boyfriend recently died? Which mythology appears in Bone Dry? What comic book did Kim get in the mail? The royalties from The Festivus Miracle are going to which organization? Where does Kim do most of her writing? What’s the weirdest werecreature Kim can think of? What was Kim wearing around her neck in the recorded interview from GRL? What did Kim’s older daughter organize while Kim was in Chicago? What neighborhood in Paris did Kim stay in?